I was pleased to leave Nundroo Roadhouse, where I observed they displayed the worst aspects of Nullarbor price gouging and systemic racism. Running a roadhouse is a license to print money. With no competition, these service stations come motel/caravan parks play by their own rules, which are often punitive and designed to extract as much as possible from anyone entering the premises. Not allowing those on unpowered sites to charge their phone unless they pay an additional fee, paying extra for showers, no ‘drying only’ in the laundry and then charging as much as $6.00 for one drying cycle, whilst the amenities are often run down second or even 3 rd rate! They have a captive market and they know it. Some of the extra cost can be put down to the distance, isolation and cost of providing services in such remote locations. I expect to pay 2 to 3 times what you normally might in a well serviced town, regional centre or city. I’m just passing through. However, if you live in the vicinity and rely on these places to pick up or send mail, purchase petrol or use the pay phone, you literally can’t afford to go anywhere else. The food available is nearly all high sugar high fat or both, snack food , no fruit and veggies. If by chance it were available, at $3.00 per individual banana, quality food is unaffordable which only exacerbates issues of health, disadvantage and inequity. Indigenous people are mostly treated like children. Scolded and humiliated in public for such infractions as not having the correct change, or asking for an item that’s not available. It’s inconceivable that a non indigenous person would be addressed in the same way. Grant you, I have seen drunken and offensive aboriginal people making a nuisance of themselves, but no more so than the whites spilling out of the bar. I have absolutely no idea how we can successful address some of these seemingly entrenched endemic problems, but I do know its a tragedy that unfolds a new everyday. Talking with young Harry, made me realise how much I miss my own children, well young adults as they are, Daisy, Gus and Grace. How privileged I am to be an active part of their lives. 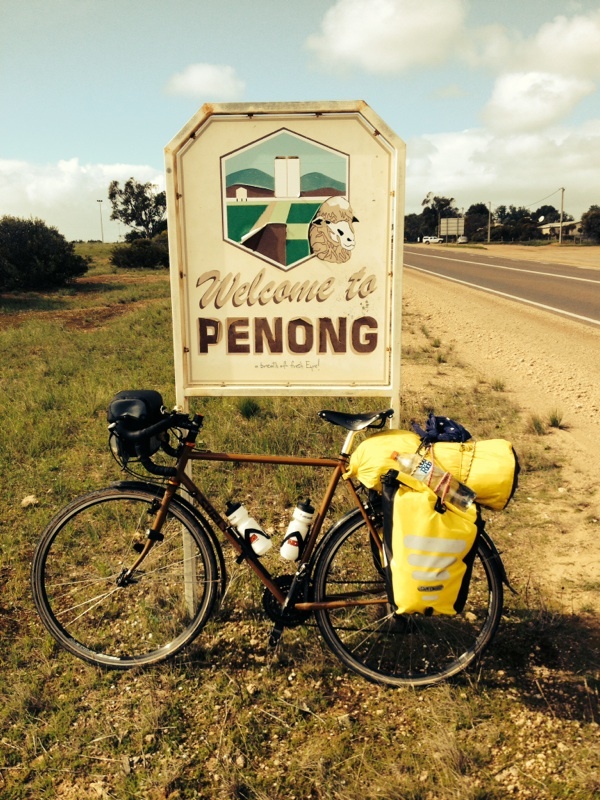 Flash Harry, the young go-getter, took off into the distance, while old Nick conceded that the headwind, showers and hills would put paid to any heroic attempt to reach Ceduna today, opting instead for Penong a mere 80 clicks up the highway. Today at times the Nullarbor came back to visit but mostly I was riding through farm land as evidenced by the increased amount of sheep, pasture and windmills. 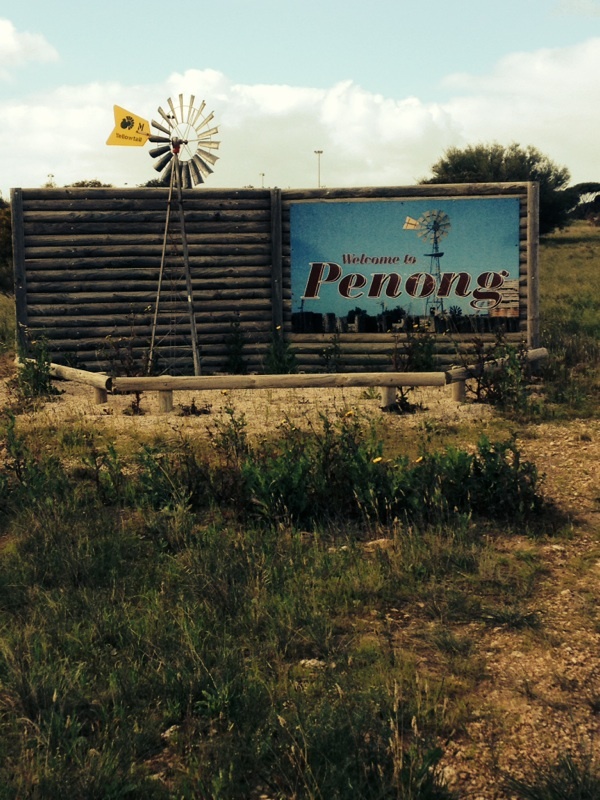 Penong is an actual town, with a modest grocery store/café. The first since Noresman almost 1200 kms away in Western Australia. Settled in at the caravan park, under an awing for cover, having mixed feelings about officially completing the Nullarbor when I arrive in Ceduna tomorrow. 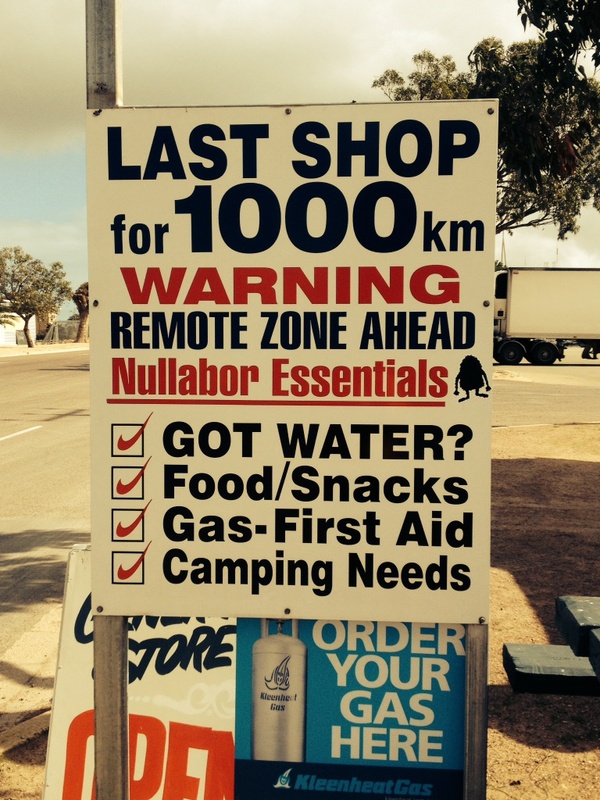 Ceduna is a quarantine checkpoint, so no fruit, vegetables or honey can be taken any further east. As a consequence, the Park provides a basket where nomads can leave such unwanted items for others. Yum, I have picked up an apple along with some honey! 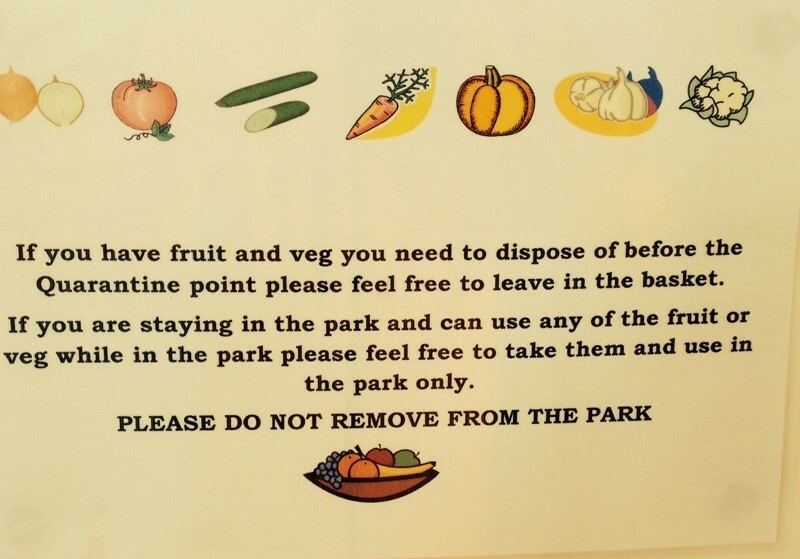 I wonder could the quarantine services at either end of the Nullarbor donate all the confiscated fruit and veggies to the respective indigenous communities, perhaps? Miss you more Dad! Can’t wait to sit down over some tea and toast and talk about it all!! !